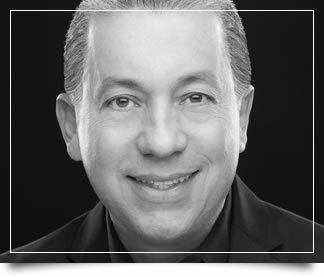 Dr. Pedro E. Santiago received his dental degree from the University of Puerto Rico School of Dental Medicine in 1989. Then he moved to Rochester, New York, where he undertook postdoctoral studies in orthodontics at the Eastman Dental Center and pharmacology and dental research at the University of Rochester. In 1995, he was accepted as the first craniofacial orthodontic fellow at the Institute of Reconstructive Plastic Surgery at the New York University (NYU) Medical Center in Manhattan, where he received a certificate in craniofacial and surgical orthodontics. Dr. Santiago was the founder and director of the Orthodontic Graduate Program (1997-2003) and the Center for Craniofacial Disorders (1997-2008) at the University of Puerto Rico. He has published 21 scientific articles, including book chapters. He has lectured in national and international meetings in more than 17 countries. Dr. Santiago is currently the director of orthodontics and associate consulting professor of surgery (craniofacial orthodontics) at Duke University, and adjunct professor at the department of orthodontics, University of North Carolina at Chapel Hill. He treats children, adolescents, and adults, and uses the latest technology in orthodontic diagnosis and treatment, including 3D imaging, self-ligating brackets, and Invisalign®. Dr. Santiago is fluent in English and Spanish. Dr. Santiago and Dr. Gandini live in Chapel Hill with their two children, Laura and Mario. They enjoy golf, tennis, music, and traveling.